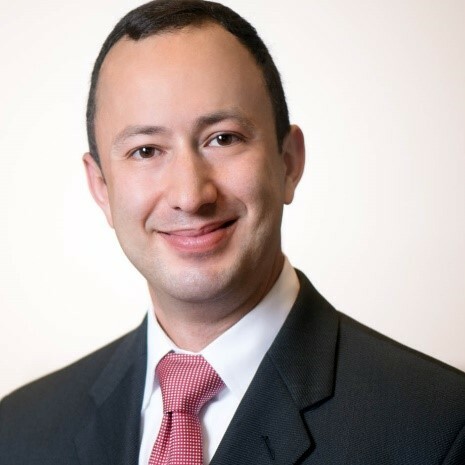 Andrew M. Fernandez has been practicing since 2009 and has dedicated his legal career to labor and employment law. Andrew focuses on litigation involving the defense of corporate clients at the Illinois Workers’ Compensation Commission, Civil Circuit and Appellate Courts, and before the EEOC and IDES. His experience allows him to be a one-stop resource on a broad range of employment issues, including: workers' compensation, wrongful termination, unemployment claims, real property, automobile negligence, premises liability and subrogation. Andrew works closely with his clients to understand their businesses and goals, and to mitigate their exposure. He is reputed as an aggressive litigator and advocate for his clients, with a track record of successful trial results and favorable settlements. Andrew has given presentations for Claims and Litigation Management National Conference, the Illinois Chamber of Commerce, and for private client events on topics including “Hidden Costs of Workers’ Compensation,” “Litigation Strategies for Cost Effective Workers’ Compensation”, “Terminating Problem Employees,” and “Avoiding EEOC Claims”. In his free time, Andrew enjoys travel, races on a T-10 sailing team, and is working on obtaining his private pilot’s license. Workers’ Compensation and Civil Third Party: Andrew recently settled a workers’ compensation case for $1.00, while his client’s exposure in a civil third-party case was limited to a lien waiver for medical treatment, saving the client an estimated $800,000.00. Workers’ Compensation Arbitration: Andrew prevailed on a disputed slip and fall, getting a “zero award” from the IWCC which was later affirmed by both the Commission and Circuit Court. Workers’ Compensation Appeal: Andrew succeeded in getting a Wage Differential reversed by the Commission to a “loss of arm” award. This was Affirmed by the Circuit Court and resulted in approximately $400,000.00 in savings to the client. Civil Wrongful Termination: After a two-day jury trial, Andrew obtained a unanimous jury verdict for the employer on alleged wrongful termination for filing a workers’ compensation claim. Exposure to the client: $0.00. Unemployment Claim: Andrew appealed an award of benefits. The administrative judge agreed with Andrew’s interpretations of the law and reversed the award of benefits to $0.00.